July 21, 2011 Adri H.
Hard to believe it, but I actually won one of those great Friday giveaways from Juniper Moon Farm's Blog. Super exciting times I tell you. 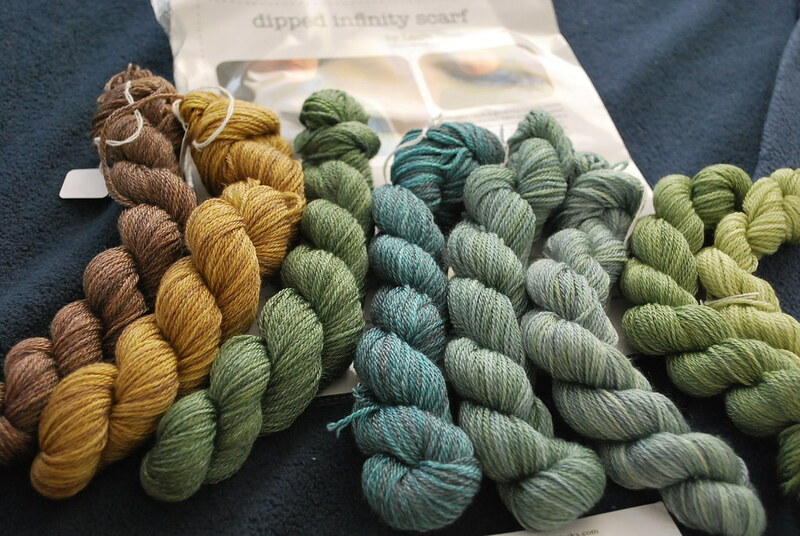 I won a Dipped Infinity Scarf Kit (design by Laura Chau) sponsored by Dirty Water Dyeworks! Yay! The kit included a bunch of mini-skeins of Julia, a really squishy and easy-to-knit blend of Superwash Merino and Tencel. I'm knitting this project as my "in-between" project. I've got a few designs due by the end of the month and my fingers are workin' workin'. Look out for the upcoming Twist Collective Issue... tee hee.